WHAT IS DUSK TO DAWN? 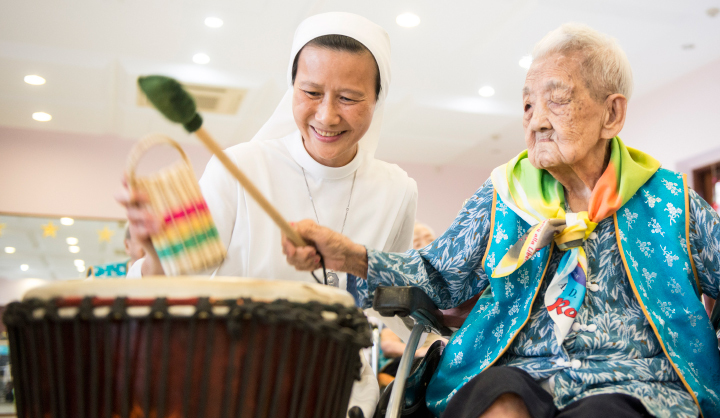 A first of its kind in Singapore, Dusk to Dawn is a night respite service for caregivers of persons with dementia who experience sundowning. Without adequate support, over-burdened caregivers may turn to nursing homes as a way out. This pilot service seeks to address this and contribute towards the vision of aging in place. It marks a new service delivery model in the care of persons with dementia and currently runs at St Joseph’s Home. Sundowning takes place when the person with dementia gets increasingly confused, anxious, agitated towards the late afternoon, evening and nights. This can lead to disturbed sleep in the night, or the person staying awake at night. Because of this, caregivers are frequently awakened at night by their loved ones and this affects their ability to continue looking after them effectively in the day. HOW DOES THE PROGRAMME BENEFIT THE PATIENTS? The respite care helps persons with dementia adjust their sleep pattern to minimise interrupted sleep at night. Taking a person-centred approach, the restful facility offers an array of activities, relaxation spaces and physiotherapy to enhance the quality of life and care received by persons with dementia. It usually starts with the clients having refreshments as they settle down. They play games, chitchat, watch movies, listen to music or enjoy a massage etc. The schedule or programme.will be customized to each client. If they are unsure on what to do, a few activities could be suggested to them for their selection. As the night goes on, some have short naps if they are tired, while others stay awake. They walk around with help from the therapy aides and stretch their legs or do some light exercises. Sometimes, during the night, they have light snacks or even help in preparing refreshments. In the morning, they freshen up and leave for home. WHAT ARE THE ADMISSION CRITERIA & PROCEDURES? The respite service is open only to those with dementia and sundowning syndrome. Families applying for the service must have a doctor’s letter stating their loved one has a diagnosis of dementia. All applicants have to go through a pre-admission interview. 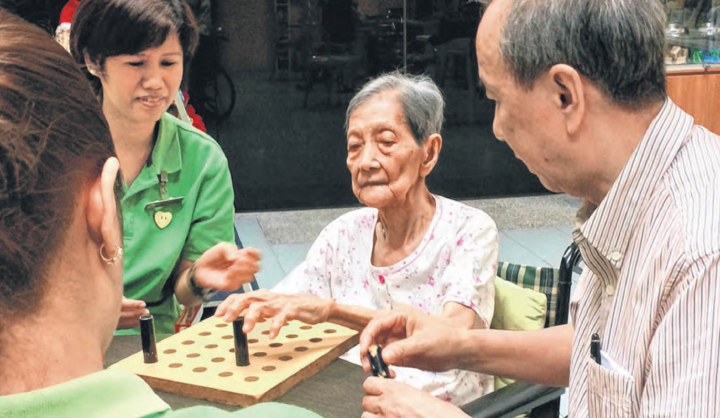 Caregivers may have to undergo training and education as part of the overall aim to better support them in caring for their loved ones with dementia. Dusk to Dawn also seeks to support caregivers and improve their caregiving knowledge and skills and not take over the complete care of their loved ones with dementia. Fees are subsidised for this pilot to ensure that potential clients will not be deprived due to lack of affordability.